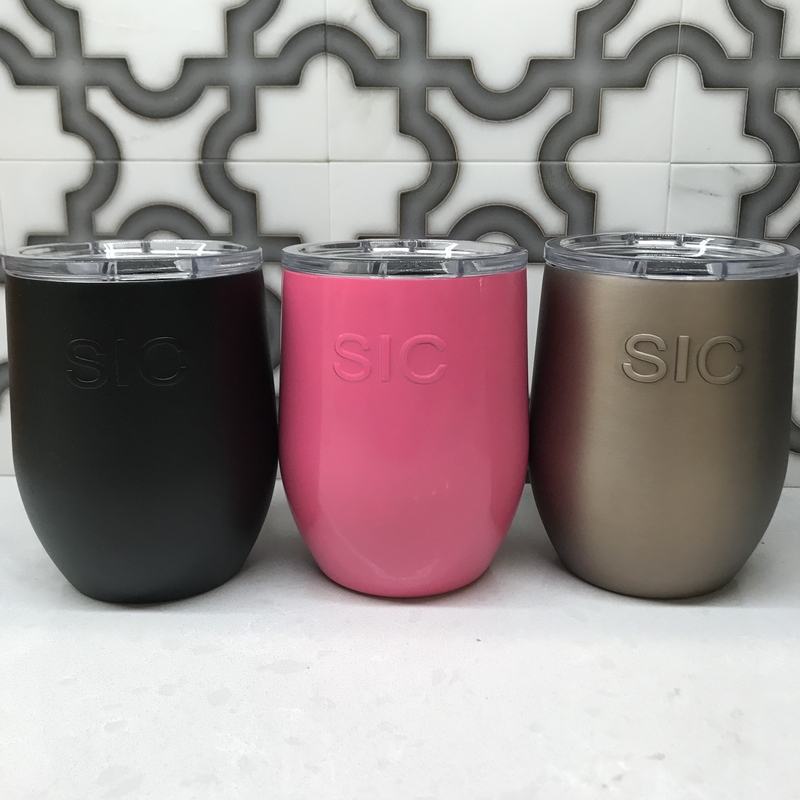 We love our SIC Cups at PnJ, and we know you will too! Seriously Ice Cold. All SIC products are double insulated and the colored product are powder coated so the color lasts. 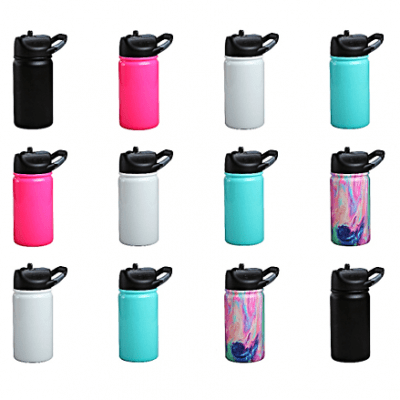 Keep your cold drinks ice cold for 24hrs and your hot, piping hot for 12. PnJ Girls Favorite Use…..ummmm WINE. At home, at the beach, at the pool….anywhere you don’t have to drive! 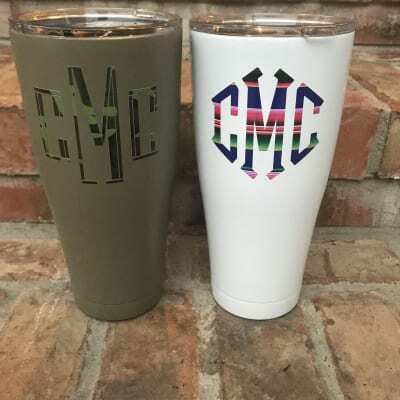 Add a vinyl decal to make it yours! In the photo gallery, you will see a window displaying our vinyl fonts. In the notes section, list the color for your decal and the font name as it is written on the board, for example Annie or BFA. List your initials in the same order the board displays so for BFA – B is the first name initial, F is the last name initial and A is the middle name initial. 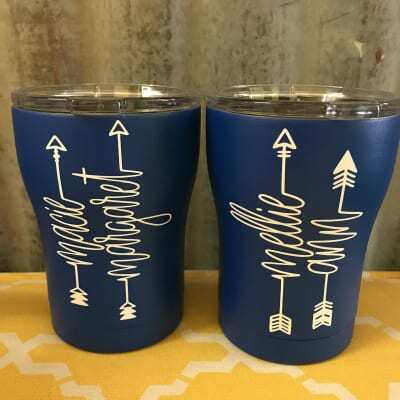 Name decals will be applied vertically on your cup as shown in the example photo. Monograms will be placed to read horizontally. Material: Kitchen Grade 18/8 Stainless Steel. Colors are powder coated.